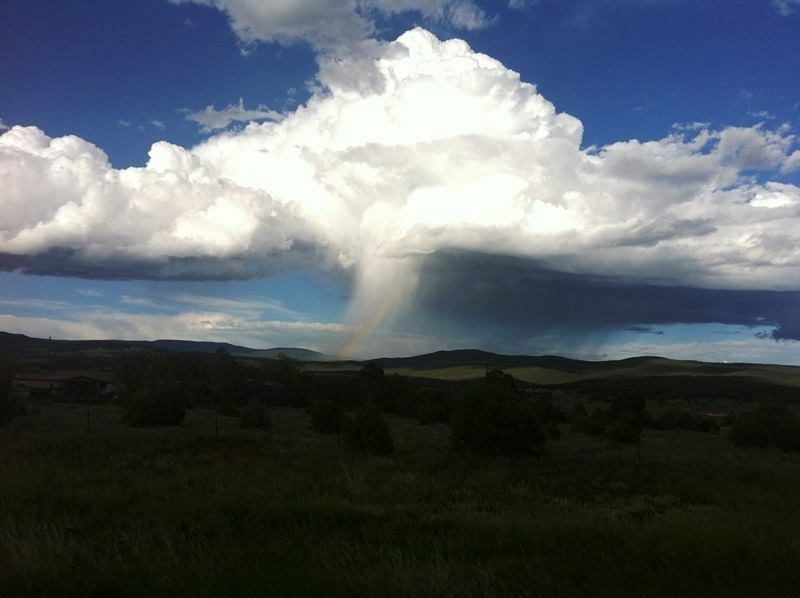 En route to Glorieta, NM, this past weekend with a friend, we drove through some storms….saw others from a distance. 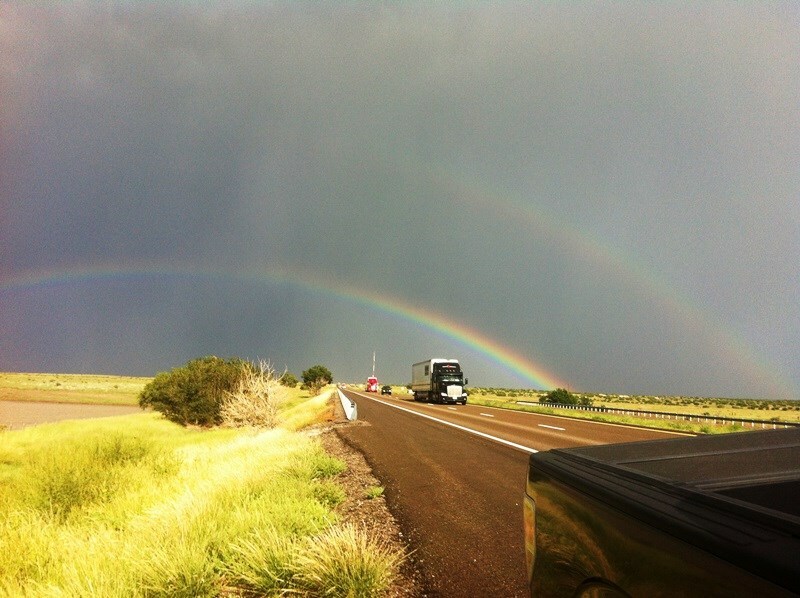 Pic #1 – i thought this was unique with the rainbow embedded in the relatively small section of “white rain.” Pic #2 – beautiful double-rainbow on the backside of the storm we’d just driven through. By the way – regardless of what group on planet earth claims the “rainbow” as their personal logo/emblem/etc, always remember – the rainbow belongs to God. It was His idea – not to represent people, but to represent Himself. It’s a timeless, natural (supernatural) reminder of God’s mercy over humankind’s corrupt heart. It’s God’s “brushstroke” of, both, present and eternal hope. For the Christian, it’s a reminder of Jesus Christ.